The Roth IRA was made available to us back in 1998, and for many people it’s been a useful tax-advantaged tool to help save for retirement. If you’re unfamiliar with the Roth, it works like this: You put money into the Roth on a post-tax basis, and, if you follow the rules properly, any potential gains you realize from the investments in the account can be withdrawn tax-free. Not bad! 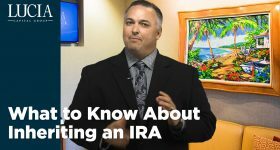 Of course, I mentioned the “rules.” Roth IRAs have certain stipulations associated with them to make sure their tax-favored status isn’t abused. In particular, there are two different five-year rules that are attached to Roth accounts that you need to be aware of. The first 5-year rule applies to earnings in the Roth, and determines whether the gains in the account will be tax-free. The second one applies to Roth conversions, and that determines whether or not you can access your converted principal PENALTY-free. You need to be aware of both. 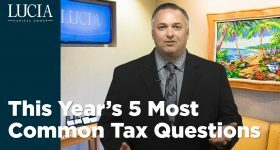 Regarding the first five-year rule, in order for the earnings in the Roth to come out tax free, five tax years must pass from when your first contribution was made to ANY Roth IRA you own. Once you make your first contribution to a Roth, that 5-year clock starts ticking, which means that any subsequent Roth contributions you make will be based on that initial 5-year clock. So in other words, there’s not a new 5-year clock for each Roth contribution, nor is there one for each Roth account you hold. All of them are aggregated to determine whether the rule is ultimately met. Once this 5-year rule has been satisfied, it’s been satisfied for good. 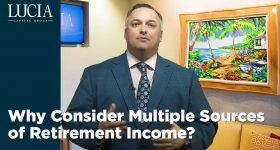 Keep in mind, though, that even if you meet this 5-year rule, the distribution only qualifies as tax free if you’ve satisfied the entire test – that is, you’re at least 59 ½, or though death, disability, or under the first-time home buyer rules. The second 5-year rule is associated with Roth conversions from pre-tax retirement accounts, and it dictates whether your withdrawals of the converted principal are penalty-free or not. And unlike the first rule for contributions, each converted amount has its own 5-year clock. So you could have multiple clocks running if you’ve made multiple conversions. And once you make withdrawals from Roth conversions, they come out on a first-in, first-out basis – contributed principal, then converted principal with the oldest conversion first, then earnings. But the cool thing is that once you reach age 59 ½, this 5-year rule goes away, because being over age 59 ½ is itself an exception to the penalty! 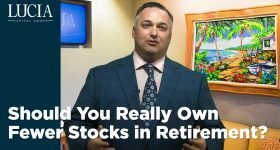 Bottom line here is that while Roth IRAs can be wonderful retirement savings tools for some people, they come with certain rules and restrictions that have to be followed. If you get it wrong, you could wind up paying extra taxes and penalties. If you need more guidance, just give us a call – we’re here to help.